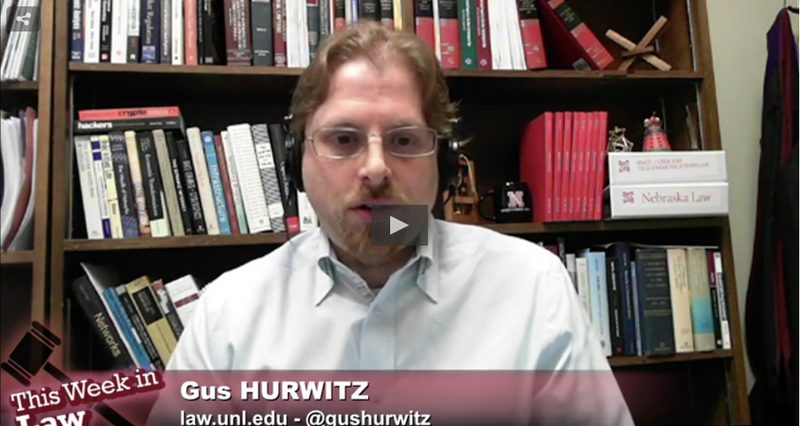 Professor Justin (Gus) Hurwitz joined the College of Law faculty in 2013. His work builds on his background in law, technology, and economics to consider the interface between law and technology and the role of regulation in high-tech industries. He has a particular expertise in telecommunications law and technology, including data- and cybersecurity, and was recognized as a Cyber Security & Data Privacy Trailblazer by the National Law Journal. His work has appeared in the Harvard Journal of Law and Technology, Michigan Telecommunications and Technology Law Review, as well as the George Mason University, University of Connecticut, University of Iowa, Michigan State University, University of Pennsylvania, University of Pittsburgh, and other law review and journals. He is the Co-Director of the Space, Cyber, and Telecommunications Law Program, focusing on the Cyber and Telecommunications components of the program. Since joining the College of Law Faculty, his work has been cited by the FCC in its 2015 Open Internet Order, Judge Williams in his dissent to the DC Circuit's affirmance of that Order, and Senator John Thune at the introduction of the MOBILE NOW Act. He has testified before the Senate Commerce Committee on video regulation, participated in roundtable discussions hosted by the FCC, presented to the United States Army's 7th Signal Command on the technological challenges of cybersecurity regulation, and presented to German and Colombian competition regulators on topics including net neutrality and telecommunications competition policy. 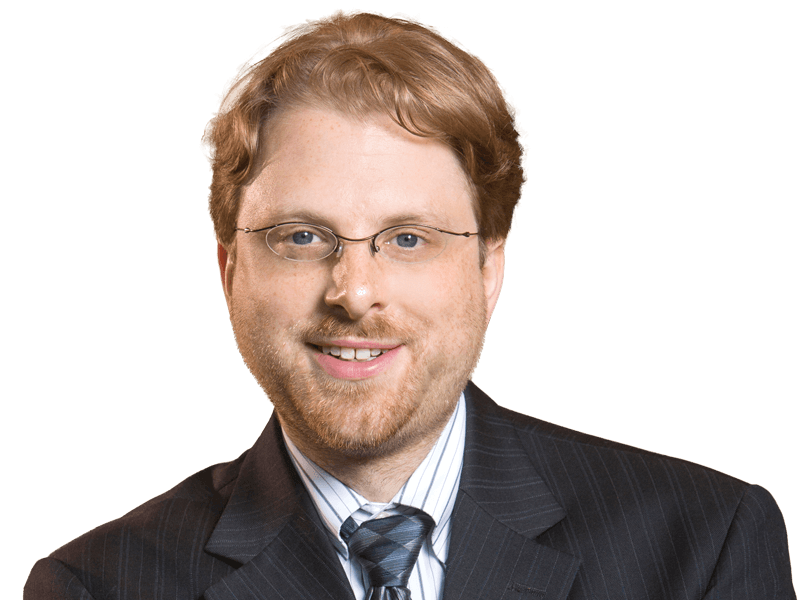 Professor Hurwitz previously was the inaugural Research Fellow at the University of Pennsylvania Law School’s Center for Technology, Innovation and Competition (CTIC), prior to which he was a Visiting Assistant Professor at George Mason University Law School. From 2007–2010 he was a Trial Attorney with the United States Department of Justice Antitrust Division in the Telecommunications and Media Enforcement Section. Professor Hurwitz has a background in technology having worked at Los Alamos National Lab and interned at the Naval Research Lab prior to law school. During this time his work was recognized by organizations such as the Federal Laboratory Consortium, R&D Magazine, Los Alamos National Lab, IEEE & ACM, and the Corporation for Education Network Initiatives in California. In addition, he held an Internet2 Land Speed World Record with the Guinness Book of World Records. Professor Hurwitz received his JD from the University of Chicago Law School, where he was an articles editor on the Chicago Journal of International Law and received Olin and MVP2 law and economics scholarships. He also holds an MA in Economics from George Mason University. He received his BA from St. John’s College. This course will explore a range of legal issues in cyber domain, including cyber security, privacy, network ownership and access, private versus public regulation of cyberspace, speech in cyberspace, content as property and intellectual property in cyberspace, jurisdiction over cyberspace activities, liability of intermediaries, state and local regulation of cyberspace, and the interrelationship between technology and law as mechanisms of regulation. The course will include two class sessions with guest lecturers from the Washington, D.C. legal and policy community. This course is available to online LL.M. students. This course addresses the legal framework applied in the United States to telecommunications and media, including the Internet, landline telephone, broadcast radio and television, cable television, and mobile technologies. We focus somewhat on Internet regulatory issues and the Federal Communications Commission. The course explores a range of factors affecting current law, including economic, technological, and speech concerns. The course also explores a range of laws that have shaped these media, including regulatory policy, statutes, and First Amendment doctrine. We discuss very recent and evolving law, and therefore focus on principles underlying the law as much as the law itself. This course is available to online LL.M. students. Cybersecurity is one of the most important and challenging emerging legal issues of the 21st century. Networked computer systems give bad actors access to data and information stored on those systems (e.g., consumer financial or health information; trade secrets and other sensitive commercial information), control over the systems themselves (e.g., to damage or disrupt; to use for other computer-based activities), and access to physical-world control systems (e.g., control over industrial equipment, electrical infrastructure, or driverless cars). Amazingly, there is no coherent legal framework to address these issues. There is, however, an at-times incomplete and at-times overlapping patchwork of legal authorities that applies to many of them. Moreover, many of these issues implicate technical considerations: either technology makes it more difficult for the law to address them, or they are better solved by technology than through the law. This class provides students with an interdisciplinary introduction to cybersecurity law, focusing on the legal frameworks that exist today, the challenges of developing more comprehensive legal frameworks, and the nuts-and-bolts guidance that lawyers need to be able to give their clients when it comes to good (and bad) cybersecurity practices. We live in a regulatory state – all lawyers address regulatory issues throughout their professional and personal lives. Day-to-day personal and business activities are governed by rules created by lawyers working for local, state, and federal entities. Private-sector lawyers work with these public entities on behalf of their clients. Private parties self-regulate (e.g., ABA regulation of lawyers; corporate governance; industry self-regulation). Beyond the practice of law, modern political discourse is dominated by discussion about regulation. As members of the legal profession, lawyers play a vital role in this discourse, informing and shaping the opinions of colleagues, friends, and families – in addition to those of policymakers – about whether and how regulatory intervention is beneficial to society. This course examines the principles of regulation that run through all of these contexts, considering what it means to regulate, why we regulate, and how we regulate. It focuses on the myriad tensions and contradictions often inherent in regulation, to equip students with critical analytical tools needed in today’s legal, political, and business environment. Consumer Protection & Competition Regulation in a High Tech World: Discussing the Future of the Federal Trade Commission, Report of TechFreedom and ICLE FTC Reform Working Group (Dec 16, 2013) (principle co-author, with Berin Szoka and Geoff Manne). Signatory on and contributor to Amici Curiae Brief Of TechFreedom, International Center For Law And Economics & Consumer Protection Scholars, filed in FTC v. Wyndham Corp. (filed May 2, 2013).